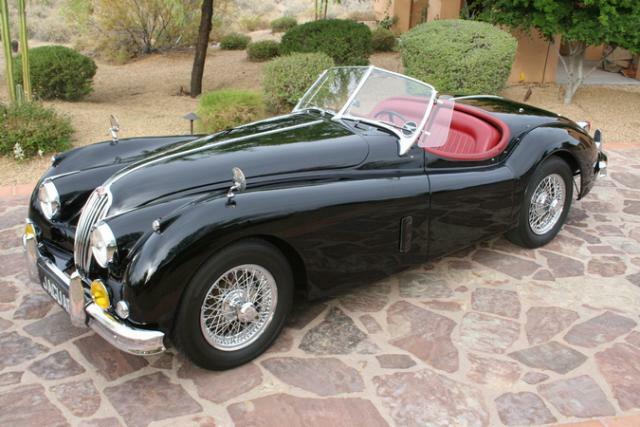 All of the Jaguar XK140 cars used a drum brake system on the front and rear. All cars featured a dual circuit hydraulic system unlike the earlier XK120 which began life as a single circuit system. Drum brakes are notoriously poor and require regular manual adjustment to maintain their performance. In response, Fosseway Performance has developed a number of Jaguar XK140 brake upgrade kits to allow you to enhance your Jaguar XK140 brakes by fitting a disc brake conversion which, like all our products, can be installed without permanent modification to the car. The kits included our four piston caliper and these are carefully sized to ensure they remain compatible with the existing brake master cylinder and servo assembly. All kits are supplied with braided stainless steel brake lines.